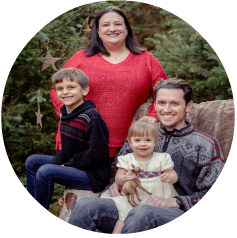 Hi everyone…I’m back today to share with you the thank you cards I made for our little ones third birthday. We had a Buzz Light year birthday so I wanted to do something space related. 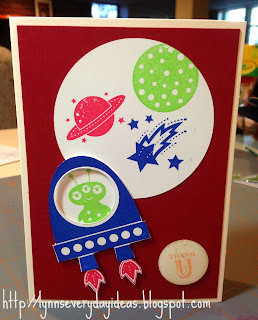 My new Stampin’ Up Blast Off set ended up being the perfect thing! I really like how this came out. The space ship is popped up from his passenger really giving the card some depth. The thank you is flair that I made using my epiphany crafts circle machine. I have to say I think that’s my favorite tool right now! The only thing I wanted to do differently was put a picture of each child who attended as the passenger, but I couldn’t get the size just right. As much as I love the card…if I ever say I’m going to make all my birthday thank you’s again…you have permission to smack me! This card is awesome!! I love the dimension!